Here are some takeaways from today’s loaded, software-focused Apple event: Apple TV Plus is a subscription service with only Apple originals. Unlike Netflix or Amazon Prime Video, you don’t get access to a back catalog of licensed shows or movies. Apple TV Plus is not a separate, standalone app. Instead, you’ll get to it using Apple’s TV app, which is expanding to many more devices over the coming months. Starting in May, the Apple TV app will offer add-on paid subscriptions and will be able to stream some shows and movies from Apple’s partners like HBO without bouncing you out to a third-party video service. All of this is separate from Apple TV the product, which is a streaming set-top box you can buy in stores today and important to Apple’s living room ambitions. The company would tell you that the Apple TV is the best way to experience all of this art and content. Confused? It was easy to miss some of this or get mixed up, especially when Apple lumped these announcements together with a new credit card and magazine subscription service. How does all the new TV stuff fit together? Let me do my best to lay it out in a way that makes sense. 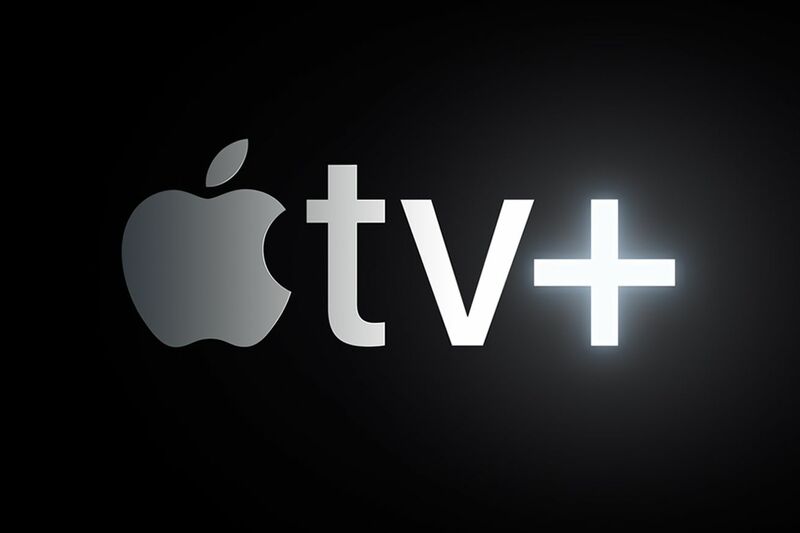 Apple TV Plus is a video subscription service that will feature Apple’s growing list of original TV shows and movies. When it launches this fall, Apple TV Plus will be the exclusive way to watch that content. And Apple has poured money into forming a star-studded roster of talent working to produce programming that can hopefully stand equal with Netflix’s best shows. Even Oprah’s on board. But Apple TV Plus is not its own app or a separate experience. It will actually be accessible through the Apple TV app on iOS, Mac, and other platforms. It will likely have its own dedicated tab or section of the TV app, but Apple didn’t go into the specifics on that at today’s event — and the website on Apple TV Plus is extremely light on details. The best we got was a short glimpse of an Apple TV Plus row with flashy animations during today’s keynote. The service will be ad-free (since you’ll be paying for it) and Apple plans to launch in over 100 countries. What is Apple TV Plus not? A true Netflix or Amazon Prime Video competitor: As Peter Kafka correctly predicted at Recode, Apple is not (yet) building a full streaming service that mixes originals and licensed programming like its rivals. Instead, the Apple TV Plus service focuses exclusively on Apple’s own original programming. There’s no older stuff to endlessly scroll through as we tend to do on Netflix or Prime Video. No Hollywood movies or past TV hits to speak of. Not yet, anyway. On Android or Windows: Though it announced a TV app for several platforms (even including Fire TV), Apple gave no indication that the service and its originals will be available on Android or Windows. That’s a huge hole if the company is hoping to make these high-profile shows accessible to as big of an audience as possible. Native apps for these platforms, at least right now, don’t seem to be in the cards. On the web: Same goes for web browsers. Apple made no mention of a way to stream Apple TV Plus via popular desktop browsers like Chrome, Firefox, or Microsoft Edge. When will I be able to watch Apple TV Plus? Apple says it will share pricing and availability details for Apple TV Plus this fall, but didn’t get more specific than that. We have no idea how much Apple TV Plus will cost per month or whether you’ll be able to bundle it with the company’s other services at a discount. What is the Apple TV app? 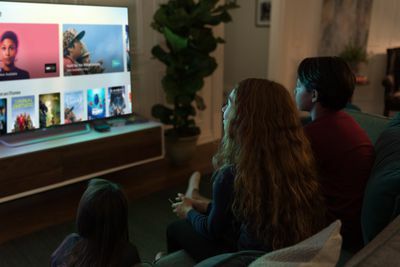 The Apple TV app was first announced in October 2016 and launched on the fourth-generation Apple TV and iOS devices at the time. It is now a preinstalled app on all iPhone, iPad, and Apple TV devices. Apple positioned the app as a modernized TV guide: it’s an all-in-one hub for finding recommendations on shows to watch. The “Watch Now” tab offers personalized picks suited to your own tastes and pulls from many different popular video subscription apps. The Apple TV app also has a sports component, offering live scores and notifications for close games. And lastly, it provides easy access to your iTunes TV show and movie purchases or rentals. Beginning in May, the TV app will become the place to go for those same movie and TV show digital purchases on Apple TV. Does the Apple TV app cost money to use? No. Unless you’re paying for Apple TV Plus or an Apple TV Channel subscription (and neither of those are available yet), the TV app itself is completely free to use. So the TV app is a helpful resource for finding something to watch. But until now, the Apple TV app has always directed users to third-party apps to actually stream something. You could search for an HBO show in the TV app, but when you hit play on Game of Thrones, you’d get switched over to HBO Go or HBO Now. This jumping between apps can be a little awkward and makes what Apple’s trying to do feel less seamless. That’s about to change — in some cases. 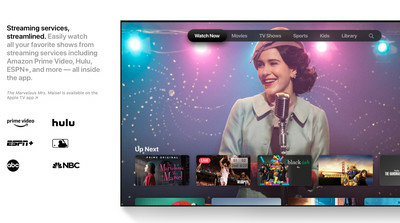 Apple now says that customers will be able to watch content directly inside the Apple TV app. But critically, this only applies to the Apple TV Channels that were announced today. What are Apple TV Channels? Apple will soon offer optional add-on subscriptions similar to what Amazon does with its Prime Video Channels. You’ll be able to pay for HBO, Showtime, and other services using your Apple account. Now, you can already subscribe to those networks on iOS and from their respective Apple TV apps, but there are benefits to doing it through Apple’s new TV app method. For one, you can share access to your Apple TV Channels with up to six family members. Second, instead of having to watch content from those Channels across several different apps, everything will be viewable right inside the TV app. And last, you’ll be able to download shows for offline viewing. It’s a weird mix, but it at least puts Apple at par with Amazon. If you like TV shows from any of the services above, you’ll be able to watch that content directly inside the Apple TV app. And Apple says it will deliver top-tier picture and audio quality for all Apple TV Channels since it’s handling the streams for Channels directly instead of relying on HBO, CBS, Starz, etc. Combine that with the option to download content for offline viewing, and you can see why people might opt to start handling their subscriptions through Channels. Pricing for the various Apple TV Channels hasn’t been disclosed. It’s been rumored that Apple will offer bundles of them at a discount, but the company didn’t delve into any of that today. Other apps — even those with shows featured in the TV app like Hulu and Amazon Prime Video — will still require you to move over to their own apps to watch something. Apple’s website is a bit misleading on this, hinting that users will be able to “easily watch” Hulu “inside the app.” A Hulu spokesperson has directly confirmed to The Verge that this is not the case. Where can I watch the Apple TV app?